We looked at the top 10 Juicers and dug through the reviews from 29 of the most popular review sites including Consumer Reports, Tech Gear Lab, The Juicer Fanatics, Top Ten Reviews, Juice Reviews Direct, Healthy But Smart and more. The result is a ranking of the best Juicers. Our experts reviewed the top 10 Juicers and also dug through the reviews from 29 of the most popular review sites including Consumer Reports, Tech Gear Lab, The Juicer Fanatics, Top Ten Reviews, Juice Reviews Direct, Healthy But Smart and more. The result is a ranking of the best of the best Juicers. 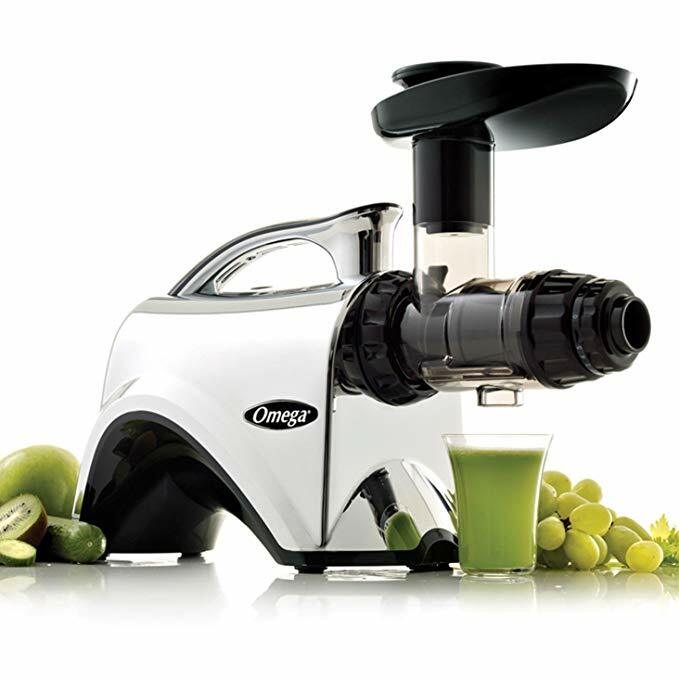 The Omega J8006 is a masticating juicer, which means it can handle more than fruits and vegetables. If you want a juicer that can also double as a food processor and coffee grinder when needed, this is the juicer for you. DWYM Kitchen Experts plus CNET, Juice Reviews Direct, The Juicer Fanatics. Along with user reviews from Best Buy, Amazon, Walmart and Bed Bath & Beyond.
" More importantly the J8006 produced very consistent juice amounts during each respective test, the only product I've yet seen to do so." "The Auger tends to be harder to clean if it is not done immediately after juicing, which in our view is the only let down." The Breville JE98XL is an easy-to-use juicer that provides 30 percent more juice than similar models. Its parts are dishwasher safe, which means you'll only have to hand wash the cover. DWYM Kitchen Experts plus Healthy But Smart, CNET, Top Ten Reviews, Juice Reviews Direct, The Juicer Fanatics and 1 more. Along with user reviews from Amazon.
" The cutting disc is made from stainless steel. It’s so effective that compared to other juicers it can get 30% more juice." "Unfortunately while impressive looking, the JE98XL stumbles when processing leafy and fibrous green vegetables." If you're looking for an affordable juicer that can handle the basics, the Hamilton Beach will perform perfectly. Cleanup requires a little more work, but for the great price, it may be worth the extra effort. DWYM Kitchen Experts plus Consumer Reports, CNET, Top Ten Reviews and 1 more. Along with user reviews from Amazon, Walmart and Target.
" I thought the clean-up was too much work. But once I got into a rhythm, it became much easier (especially putting a sack into the pulp container)." "a cleaning brush to scrub its strainer basket or even a juice cup to collect fruit and vegetable liquid." The design of the Cuisinart makes it quieter than other juicers in its class. You will have to finely chop your ingredients with this model, but you'll get juice you can drink without any additional preparation. DWYM Kitchen Experts plus Top Ten Reviews, Juice Reviews Direct and 1 more. Along with user reviews from Walmart, Amazon, Target and Bed Bath & Beyond.
" The Cuisinart Juice Extractor yielded a high percentage of juice for each recipe. What's more, most of the juice extracted had little to no froth, so it was easier to drink straight from the machine." "Not the best quality of juice but not bad either. If you aren’t a stickler for juice quality, are fine with foam on top and the inability to store juices in the fridge this juicer will do just fine for..."
We identified the majority of the juicers available to purchase. 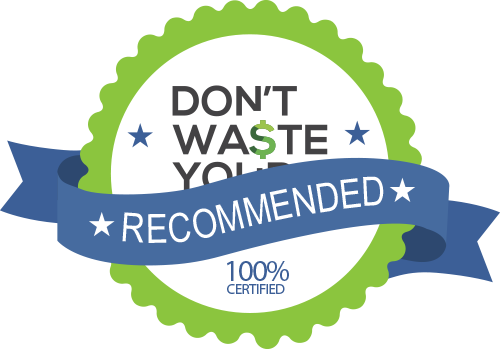 Reviews from our DWYM category experts and analysis of some of the most respected sources including: Consumer Reports, Tech Gear Lab, The Juicer Fanatics, Top Ten Reviews, Juice Reviews Direct. We also incorporate user reviews from the leading retailers including Amazon, Walmart, Target, Bed Bath & Beyond, Best Buy. More importantly the J8006 produced very consistent juice amounts during each respective test, the only product I've yet seen to do so. Having to cut up our veggies and fruits actually helped us carefully plan out each juicing endeavour and so while many might find its smaller chute size a pain, we love it! The juicing enthusiast who wants consistent high-quality juice that has more live nutrients will love this juicer. The Auger tends to be harder to clean if it is not done immediately after juicing, which in our view is the only let down. Beginners, and impatient cooks may also find this juicer too much of a hassle to operate, clean and assemble. I thought the clean-up was too much work. But once I got into a rhythm, it became much easier (especially putting a sack into the pulp container). With a price that's $30 less than its closest juicing rival, the $70 Hamilton Beach 67601A Juice Extractor serves up excellent performance without having to spend a ton of green. It isn't the most powerful machine in our lineup, but it does yield a large amount of juice. This juicer is a great option for people who are starting out in juicing looking for something affordable. It worked well for several months, then decided it was time to retire: the on/off switch broke, and we had only used it once or twice a week, if that. a cleaning brush to scrub its strainer basket or even a juice cup to collect fruit and vegetable liquid. However, the nozzle, which was one of the weak features of this juicer, created problems. There were also some complaints about the motor burning out after a few months. This is a potential problem with juicers in this price range. Juicing is more popular than ever, as consumers grow increasingly interested in living a healthy lifestyle. But the nature of juicing is evolving. Today’s juicers are more interested in organic ingredients for overall health or to support multi-day cleanses. An important first step in juicing is finding an appliance that will provide the healthiest juice yield while still being easy to use. When you’re looking for a juicer, you’ll quickly discover there are three major types: centrifugal, masticating and triturating. Masticating and triturating juicers are very similar in that they can do both juice extraction and food processing. These juicers are ideal for chopping up leafy green vegetables. Centrifugal juicers lack the food processing element, which means you’ll likely need to steer clear of juice recipes incorporating leafy greens. The key to these juicers is the process they use to grind food. A centrifugal juicer uses sharp blades to shred the material, then spins extremely fast to separate the juice from the pulp. A masticating juicer, on the other hand, uses an auger to crush the food. The separation happens through the use of a mesh, with the pulp being pushed into a different part of the unit. 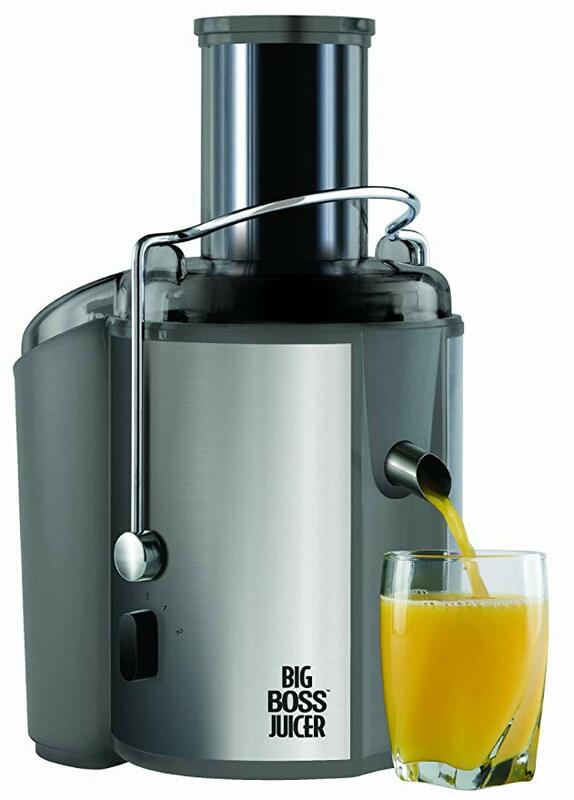 In addition to types of ingredients, the juicing style also impacts the juice itself. A masticating juicer produces a very high-quality beverage with dryer pulp and less foam. Centrifugal juicers provide a foamier juice with pulp that becomes wetter over time. You’ll need to drink the juice from a masticating juicer within a few hours of producing it because it degrades rather quickly. Juice from a centrifugal model can be refrigerated to enjoy later. Even within centrifugal and masticating juicers, you’ll find wide variations in performance and operation. The model you choose will rely heavily on what you hope to get out of a juicer. If speed is most important, there are juicers that are best known for that, while others excel at being easy to use and clean. Once you’ve taken all of the features into consideration, you’ll be able to pinpoint the juicer that works best for your needs. Cleanses date all the way back at least to ancient Greece, where fasting and detoxing were performed as part of religious rituals. As far back as 2400 B.C., Chinese populations incorporated a mix of juicing, cupping and food detox pads for their fasts. Juice cleanses were used as part of yoga practices in Thailand, with practitioners believing the detox process was an essential part of the journey toward self-realization. Thanks to modern juicers and prepackaged juices, the practice has taken off as a great way to get nutrients while on the go. Today, juice cleanses are still incorporated in some yoga practices, including retreats where juice detoxing is part of the overall rejuvenation process. If you’re looking specifically for a masticating juicer, the Omega J8006 is the one to beat. You’ll get very consistent juice amounts and more live nutrients than other juicers. The Omega promises to overcome the degradation problem by using a low speed of only 80 RPMs. This minimizes heat buildup while also reducing oxidation. The Omega J8006 is best if you want to incorporate leafy greens into your juicing. It’s also great as a backup food processor, pasta maker and coffee grinder. You can even use the nutrition center feature to turn nuts into nut butter or make baby food from fresh ingredients. This multifunctionality may make the extra cost worth it to you. When it comes to juice yield, the centrifugal Breville model impresses. When compared to other juicers, it produces 30 percent more juice yield, although you may have to run it for more than one cycle to get all the juice out. As with most centrifugal juicers, though, it struggles with leafy greens, and it can’t extract juice from wheatgrass. If you prefer your juice as froth-free as possible, consider the Cuisinart, also a centrifugal juicer. Because of its lack of froth, you can drink it straight out of the machine. The Breville impresses for one major reason: You don’t have to slice ingredients into small pieces. The larger feed tube means that you can insert larger ingredients, saving you prep work. The Cuisinart and Omega models require quite a bit of slicing and dicing before you can fire up the machine. Despite all of its other benefits, the Omega takes longer to produce juice than centrifugal juicers, due to its slow speed. If you’re looking for a quick glass of juice before heading off to work in the morning, this could be a problem, and you won’t be able to juice the night before and have it ready in the refrigerator due to its quick degradation. If speed is a priority, the Breville promises only five seconds for an 8-ounce cup of juice. The Hamilton Beach juicer also has speed on its side, providing results in seconds. In addition to the taste of the juice, capacity is a top consideration. The Breville provides one of the tallest pitchers, holding more than a quart of juice. The Cuisinart is impressive in this area as well, offering a one-quart container. Once your juice is ready to drink, it’s time to clean up the mess. The Omega’s auger can be difficult to clean if you let the juice sit for a while, so it’s important to wash it immediately. The Breville is easy to clean, thanks to dishwasher-safe parts, aside from the cover. With the Hamilton Beach juicer, you’ll find you need a scrubbing brush for the strainer basket, as well as a cup to collect the excess liquid that comes out. If price is an issue, the Hamilton Beach juicer is by far the cheapest, retailing well below $100. The Omega is on the higher end, at more than $250. Both the Breville and Cuisinart juicers retail for under $150. 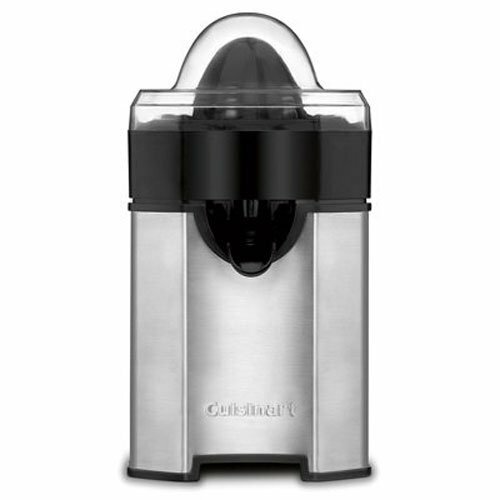 Juicers can be noisy, so if you want a peaceful operation, you may like the quieter Cuisinart. The Breville may be relatively quiet, but it vibrates while it juices. If you’re choosing the Hamilton Beach model, pay close attention to the warranty. The switches and motor have a tendency to burn out over time. Hamilton Beach offers a three-year limited warranty that includes U.S.-based customer support. For the Juicer category, we analyzed 29 of the most popular reviews including reviews from Consumer Reports, Tech Gear Lab, The Juicer Fanatics, Top Ten Reviews, Juice Reviews Direct, Healthy But Smart and more. The result is a ranking of the best Juicers.